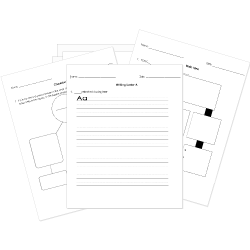 You can create printable tests and worksheets from these Grade 3 Because of Winn-Dixie questions! Select one or more questions using the checkboxes above each question. Then click the add selected questions to a test button before moving to another page. What is Winn-Dixie afraid of? Opal opens up to Winn-Dixie in the beginning of this story. Why do you think it's sometimes easier to talk to or be friends with a pet than with people? "But then I became aware of a very peculiar smell, a very strong smell." Which of the following is a synonym, a word that means the same or amost the same, for peculiar? What is the real reason Opal was so upset when her father said they were done searching for Winn Dixie? Opal thought Winn Dixie was lost forever. Opal felt like she was giving up on her mom too. Opal felt like everyone would be mad at her. Opal knew Winn Dixie was close by. Why did India Opal's father let her keep Winn-Dixie? Where was Winn Dixie hiding? What did India Opal mean when she said that she and the dog were "almost like orphans?" Why did Opal think of her father as the preacher? Her father was always preaching or getting ready to preach. What animal does Opal compare her father to? Why does Gloria show Opal her bottle tree? Opal asks what the clanking noise is. Otis had made the tree for her. Gloria wanted Opal to grow a tree like it. She wants Opal to know everyone makes mistakes. A sermon is a speech with a religious lesson, usually given by a member of the clergy. What does Otis love more than anything else? Which of the following is NOT a flavor that is tasted in a Littmus Lozenge? What book did Opal read to Gloria Dump? Explain how Opal got her unusual name? What do animals at Gertrude's Pet Store do when Otis plays his guitar? Which of the follown is NOT true about Opal's mama? She liked to plant things. She was a good cook. What did the taste of the Littmus Lozenge make Gloria Dump think of?